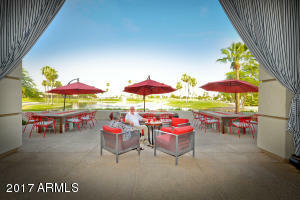 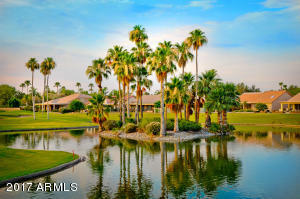 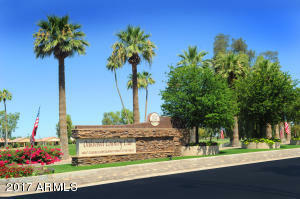 Looking for a winter get-a-way or a year round home in a resort 55+ community? 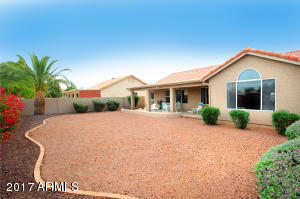 This 3 bedroom, 2 bath Palacia plus is a great floor plan with a great room floor plan with large picture windows looking to the private back yard. 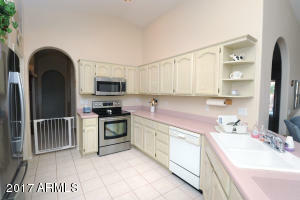 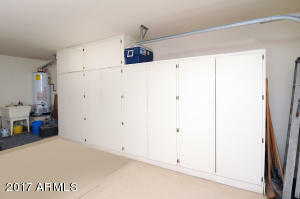 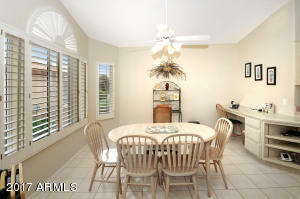 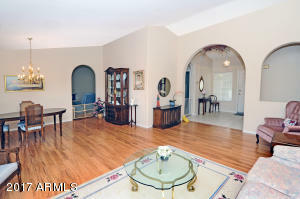 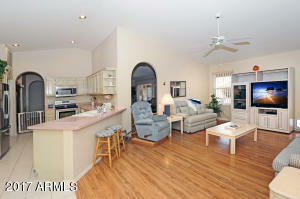 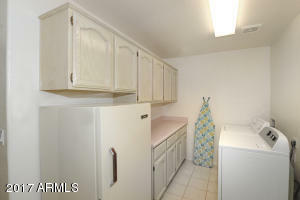 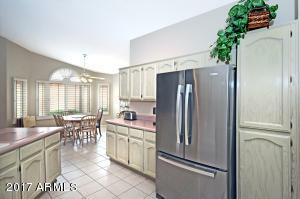 The kitchen has plenty of storage cabinets and is open to the dining area and family room. 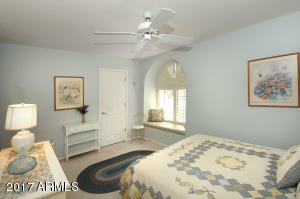 The master suite is spacious with a 3/4 bath and guests will love their bedroom with walk in closet and nearby guest bath. 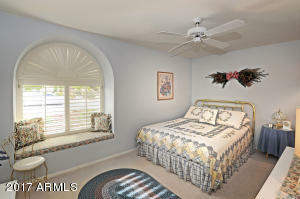 The third bedroom can be a den, office or hobby space. 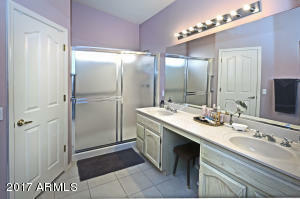 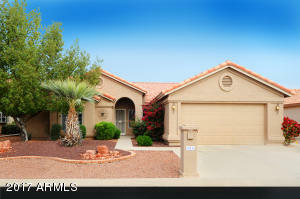 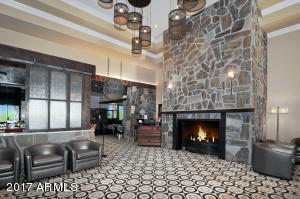 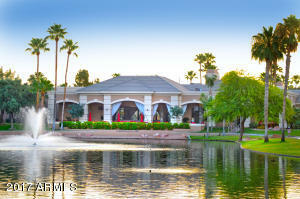 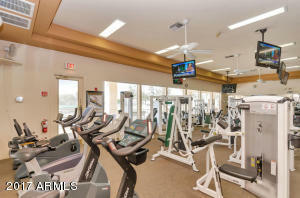 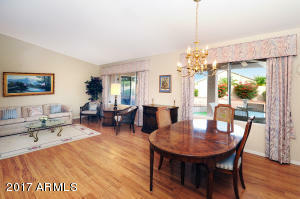 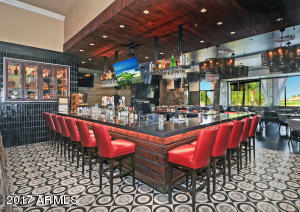 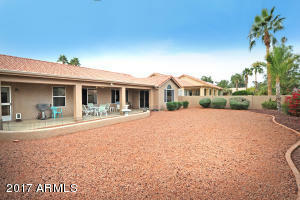 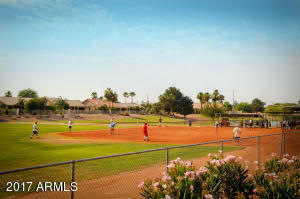 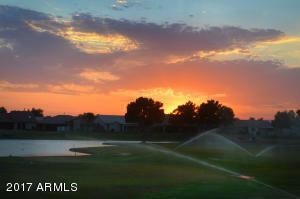 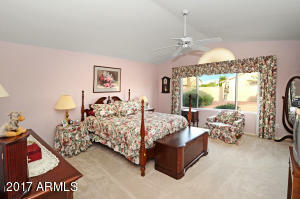 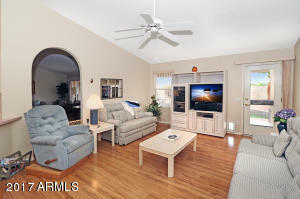 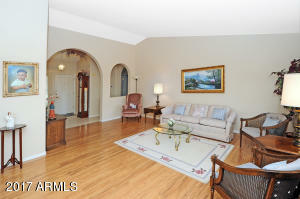 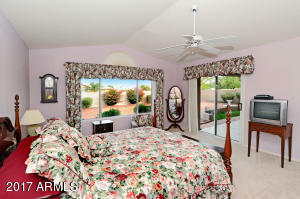 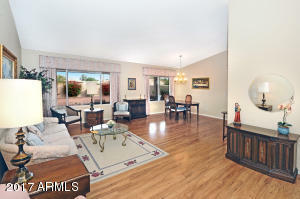 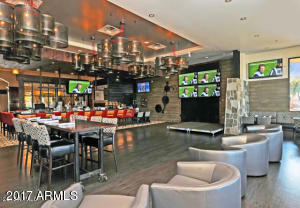 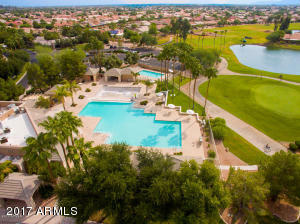 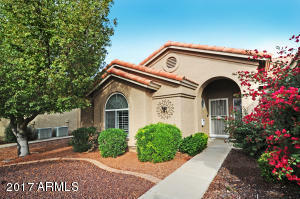 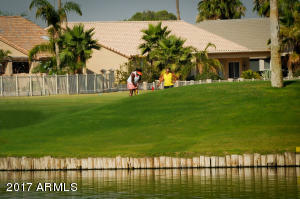 You will love the great location with easy access to the Clubhouse and all amenities. 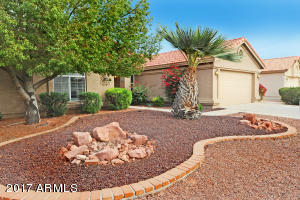 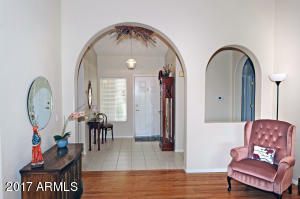 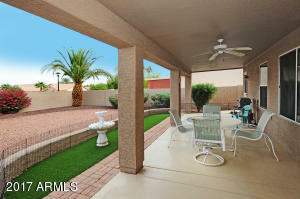 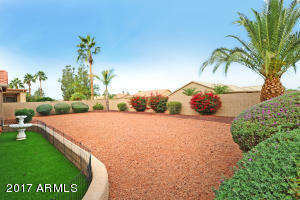 Spacious backyard with covered patio is a great area to relax or entertain. 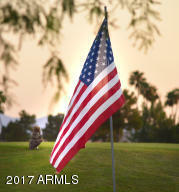 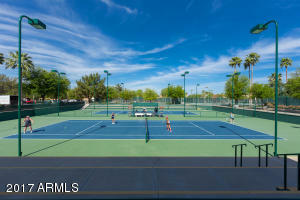 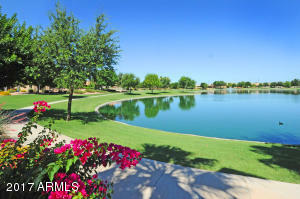 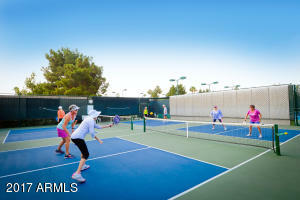 Sun Lakes is a premiere active adult retirement community with golf, tennis, pickle ball, restaurants, fitness and so much more! 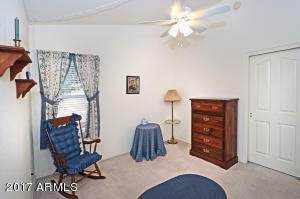 HURRY to see!